This webpage is reserved for Young Adult & Campus Ministry information. Please send any information to GoodNewsCMV@gmail.com. Are you on Twitter? 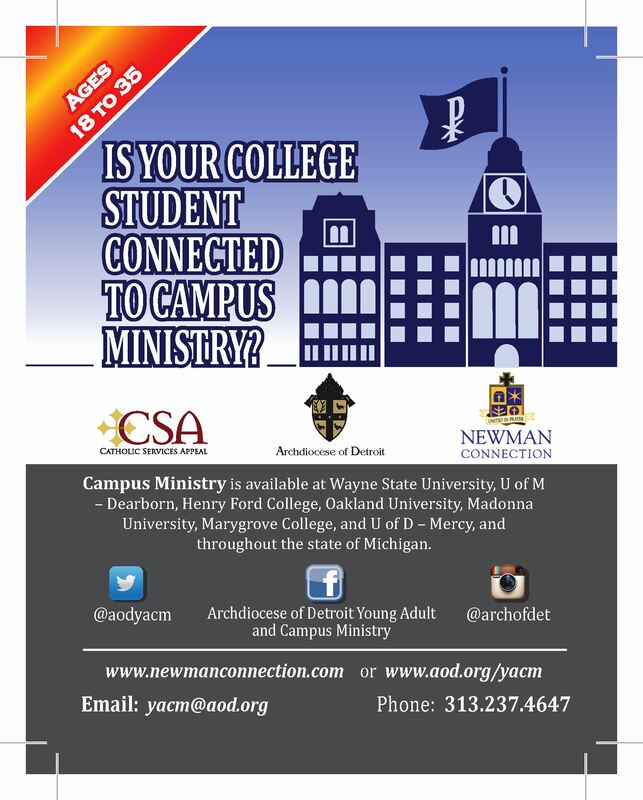 Follow the AOD Young Adult & Campus Ministry! https://twitter.com/aodyacm. College Bound with the Good News of Christ! Is Your College Student Connected to a Campus Ministry? Click for Details! Click here for more information about Theology on Tap in Metro Detroit.